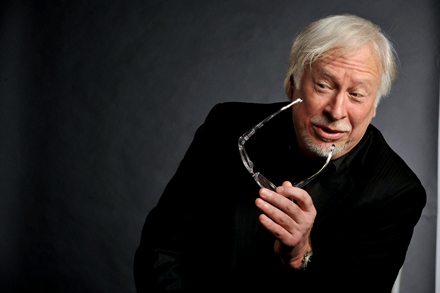 This week’s podcast is with branding authority Marty Neumeier. It is actually a conversation I had with Marty last year but is even more relevant now than it was then. It is hands down the most eye opening conversation I have had to date regarding branding. I was especially interested to hear what an expert outside of the music industry had to say about branding and where it fits within today’s music business. The answers revealed insight that I think is priceless for those navigating today’s music industry. Marty is the author of numerous branding books including “Brand Gap” and “Zag” (rated among the top 100 business books in the world) and is also the director of his company Liquid Agency. His clients have included Apple, Nike, PlayStation, Meebo, HP, Microsoft, and many, many more! He is a speaker and has made presentations around the world. I have huge respect for Marty and highly recommend his books to anyone interested in doing any type of business. Marty Neumeier started out as a graphic designer and he developed hundreds of brand icons, retail packages, and other communications for companies such as Apple, Adobe, Netscape, Kodak, and HP. Eventually, Marty evolved into an editor, and launched CRITIQUE, a magazine that quickly became the leading forum for improving design effectiveness through critical analysis. Later in his career, Marty started Neutron, a design think-tank focused on brand-building processes that drive organizational change. Today, as Liquid Agency’s Director of Transformation, Marty offers high level consulting for some of the world’s most respected brands, while also writing and lecturing worldwide on the subject of branding, business and innovation. Marty’s books have been hailed as breakthroughs by Fast Company, BusinessWeek, and Harvard Business Review. His books have been described as a “practical field guide on how to create and grow a world-class brand”, and “ZAG” was recently named one of “The 100 Best Business Books of All Time”.